Samsung had made their intentions clear of bringing Tizen to a multitude of devices and at the Tizen Developer Summit in Seoul, South Korea, the company confirmed the first device that is powered by Tizen. 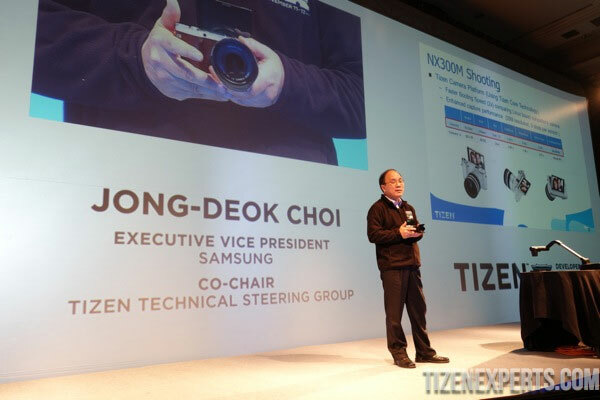 It’s the NX300M camera that was announced in South Korea last month, which is powered by Tizen’s Camera Platform. Tizen OS enabled Samsung to improve the boot time of the camera by two times, in comparison with other Linux-based cameras and improved camera performance. Samsung also touched upon Tizen-powered smartphone launches and are expected to reach the market by Q1 2014 on Tizen v2.2.1. Tizen 3.0 that is expected in Q3 will bring multi-user support, 64-bit architecture, 3D UI framework, smaller footprint.